ME-LE Biogas GmbH, a German company with a subsidiary in Brazil specializing in waste treatment in agriculture and industry, is studying the feasibility of developing the first concept of technological biodigestor for the treatment of sugar cane waste (bagasse, filter cake and vinasse) in order to generate decentralized energy. The project is in partnership with Nova Gália Bioenergia Ltda, one of the main mills in Goiás with capacity to process 2 million tons of sugarcane per crop. Let us get to know a little more about this project in an interview with Christian Belt, from ME-LE Brasil Energia, and Alesandro Rosa, from Usina Nova Gália. 1. 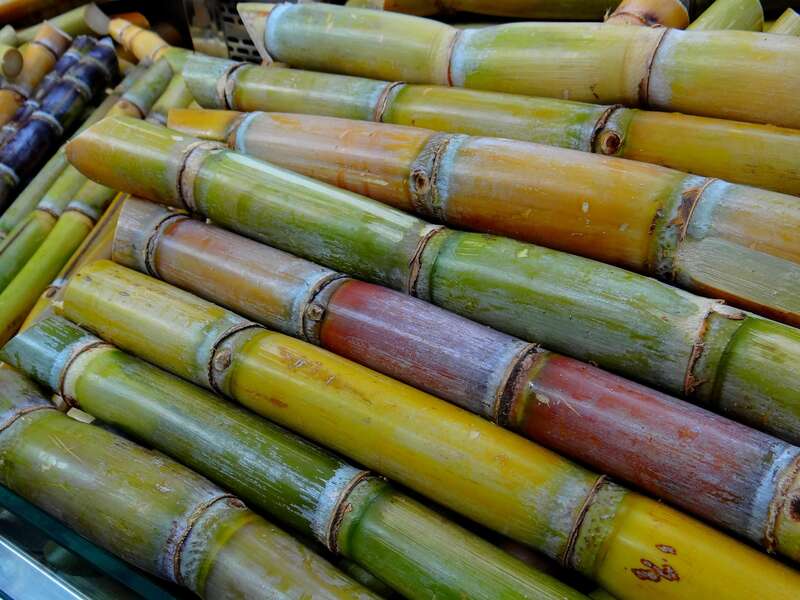 Could you explain in a general way how the fermenting waste process from sugarcane production works? Christian Belt: Biogas is a metabolite of methane. It arises when organic matter is fermented in the absence of air, in other words, anaerobically. For this purpose, fermentors are used, which are operated in agricultural biogas plants predominantly in the temperature range between 35°C and 42°C. The waste from sugar/ethanol production is dumped at certain intervals inside the reactor. The recovered biogas consists, on average, of about 50 to 60% in volume of methane and 40 to 50% in volume of carbon dioxide, in addition to small amounts of others. The calorific value of one cubic meter of biogas with a methane content of 53% corresponds to approximately 0.53 litres of diesel. In 2012, the tilapia production in Castanhão reached a peak, becoming the largest producer of tilapia in Brazil, and causing Ceará to become the Brazilian state with the largest production in the country. However, at the same time, since 2012 a drought period started, affecting Ceará for approximately 6 years. 2. The main idea of the project is to treat waste from sugarcane (bagasse, filter cake and vinasse) used in ethanol production, right? What is the great energetic potential of such waste? Could you tell us more about it? Christian Belt: Yes, the potential is really great in Brazil. Statistics from Associação de Biogás e Biometano (Association of Biogas and Biomethane - ABiogas) show that almost 50% of the potential of Biogas in Brazil, that is, more than 56 Mio. m³/day of biomethane could be generated from waste from the production of ethanol. 3. The biodigestion process is relatively new in Brazil. How long has it been used in Europe? Christian Belt: The use in Brazil, in fact, is not as new as everyone thinks. Already in the 1970s and 1980s, farmers in different regions used the biogas potential to treat manure and other agricultural waste and/or use the gas for cooking. But these reactors, if compared to today, were much simpler. And the situation in Germany and other European countries at that time was also similar. With the establishment of different laws for the use and financial support for Renewable Energies in Germany and other European countries, after the year 2000, biogas experienced a boom that led to the construction of more than 10,000 plants in Germany alone and began to examine the biogas generation process to improve the efficiency of those reactors. 4. What kind of adaptations and studies are needed to use this German technology in this biogas production plant? Christian Belt: First of all, it is necessary to analyse the exact quantity, quality and availability of each substrate used throughout the year. With this information we create a concept including equipment and materials in order to have a first estimate on the total investment of a plant. This concept already includes an adaptation of the German technology to the Brazilian reality ("tropicalization"). If the final customer of such concept agrees and the financing is guaranteed, we move on to the planning and implementation of the plant. 5. How was the first contact and how did the idea of partnership with the Nova Gália Bioenergia Ltda company arise during the meetings promoted by the Low Carbon Brazil project? Christian Belt: The first contact was in November 2016 during the Low Carbon Brazil event in São Paulo. After a few visits to the factory and headquarters in Goiânia, the first ideas were exchanged and the potential was calculated for a future plant. 6. What would be the indicators of greenhouse gas emission reduction, as well as energy reduction? Christian Belt: For this project we estimate a reduction of 4,412 tons of CO2, only through the production of energy (+ a possible additional potential through waste treatment), if we think about reducing energy, more than 8,000 MWh of renewable energy are being planned. 7. How long has the Nova Gália Ltda plant, aiming at serving the Brazilian ethanol market, been in the market? Alesandro Rosa: We inaugurated the plant in March 2005 and since then the company has been expanding its activities. The plant produces anhydrous and hydrated ethanol for the Brazilian market, and markets high pressure steam to the Thermoelectric Unit. 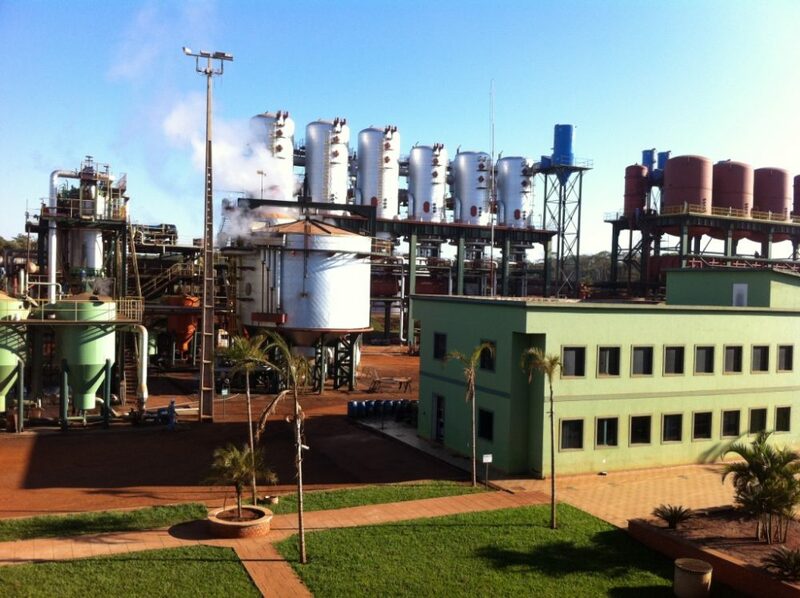 We recently inaugurated a new mill to meet the demand for sugarcane and, consequently, expansion of the vats, distillery and storage tanks, and, still for 2019, the construction of the 3 high-pressure boilers began, to help stabilize the generation of electric energy, as with the installation of the 4th turbine, BIOENERGY, will increase from the current 47,000 kW installed to 59,000 kW. 8. In relation to residues of vinasse, filter cake and bagasse, what is the daily production and what is the importance of this treatment proposed by the company ME-LE? Alesandro Rosa: The plant can process 10,000 T/day of sugar cane in natura, 250 T/day of filter cake, 11,000 m³/day of vinasse and 80,000 T/day of bagasse. With the proposal of ME-LE it would enable Nova Gália to better take advantage of the organic load of such waste, providing more sustainability to the plant. 9. What are the sustainability policies of Nova Gália and what are your concerns about environmental impacts? Alesandro Rosa: The main policy is to establish a better environmental balance with low-carbon emissions, preservation of springs, soil and forests. Nowadays, every harvest of the Plant is performed in a mechanized way, and it is no longer necessary to burn the cane straw in the field and the high pressure boilers are equipped with flamotubular lavatory filters, that drastically reduce the emission of toxic gases in the atmosphere. 10. What are the sustainability policies of Nova Gália and what are your concerns about environmental impacts? Alesandro Rosa: Since we inaugurated, we have carried out this process, however, the commercialization started only in 2016. The plant did not yet have a transmission line to perform the export of the electric energy generated and neither lifting nor lowering substations. In this context, only one turbine was installed to supply the plant's demand for energy and low pressure steam for industrial processes. With the consolidation of business and strategic partnerships, such as MGA Administração e Participações, it was possible to implement a Thermoelectric Unit, with 69 KV Transmission Line, 69 KV Substations and a 47 MW Power House. 11. How was the first contact and how did the idea of partnership with the ME-LE company arise during the meetings promoted by the Low Carbon Brazil project? Alesandro Rosa: We got interested in the Biogas topic, and we went after partners, that's when we met Mr. Joachim Zang, from IFG - Instituto Federal de Goiás (Federal Institute of Goiás) and the coordinator Mr. Wilson, from the Agronomy college, at UFG - Universidade Federal de Goiás (Federal University of Goiás), through them, we got to know Low Carbon Brazil, and at the event itself we had the opportunity to meet several European projects and ME-LE, which caught our eyes as they demonstrated greater applicability to our climate. 12. What benefits will the technology developed by the ME-LE company bring to Nova Gália? Alesandro Rosa: Better use of industrial waste, because the waste was currently released in the soil in natura and, with the partnership ME-LE/Nova Gália, we will have the benefit of methane generation, allowing a great reduction in dependence to diesel. In agriculture, (other benefit will be) the potentiating of waste transformed into organic-mineral fertilizers, reducing the use of chemical fertilizers.